Thus, password-protected RAR file, but you forgot your password? 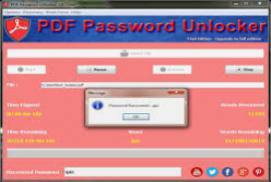 Advanced RAR Password Unlocker is the answer to your prayers! Select the protected RAR file, folder, and the minimum and maximum password length (you do not forget). Then choose whether to use an attack Brute Force or aDictionaryanalysis, and pressStart button. AppnimiRAR Password Unlocker has been tested with different passwords and automatically documents automatically go napravai selected a folder without a password.